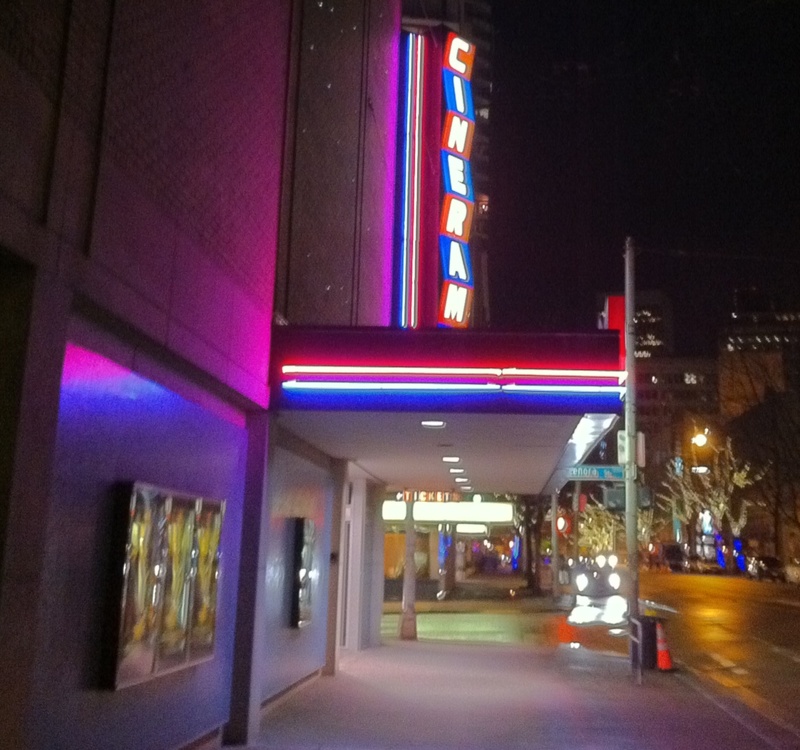 In early December, I attended the annual conference of the Association of Moving Image Archivists (AMIA) in Seattle. Here are a few of the highlights. The Association of Moving Image Archivists (AMIA) is a professional association for those involved in the preservation and access of moving image heritage. Members come from all over the world to attend the conference. There was an excellent workshop on uses of ffmpeg for archivists. Ffmpeg is open source, free software for working with multimedia files. One of the advantages for archives is that ffmpeg is always adding the capability of working with new types of files, but not getting rid of any old functionality. This means that if archivists encounter an outdated type of file, ffmpeg may be able to work with it. Ffmpeg software can analyze a file and report on all the different kinds of data inside. We store the original files in our digital archives but we also create another version using ffmpeg that can be viewed on a modern computer. AEO-light is open source software developed collaboratively by the University of South Carolina’s Moving Image Research Collections and its Interdisciplinary Mathematics Institute to extract optical sound from film. 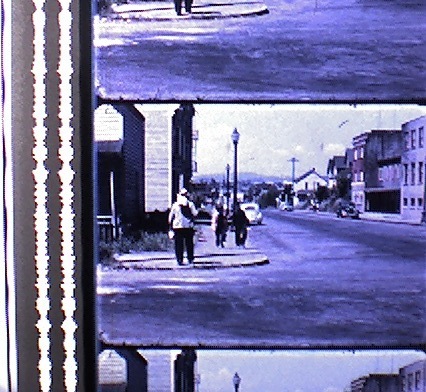 When digitizing film, it is usually necessary to run the film through a machine twice: once for the moving images and once to capture the audio. Using AEO-light software, the fragile film can be digitized once and the audio can be extracted from the digitized image. The project is looking for beta testers. Eyebeam Art + Technology Center is a prominent media arts center in New York. Their media archive was flooded during Hurricane Sandy. Audiovisual Preservation Solutions coordinated a collaborative rescue effort involving archives professionals, students and volunteers, mobilizing quickly using Twitter. It is important to dry the media quickly and keep the identifying information, such as wet labels, with the media. It is equally important to make sure the media is clean. For instance, a layer of dirt (or salt crystals from sea water) on a videotape will get in the way of recovering the signal from the tape as well as destroy a rare and expensive tape player. Work to transfer the damaged media content to new formats continues. This video shows the rescue effort in progress. Recovering Eyebeam’s Archive from DEEPSPEED media on Vimeo. A session from the Image Permanence Institute presented research on the effectiveness of treatments to reduce acidity in acetate film. They also examined the logic of trying to remove acidity, since removing acid causes the film to shrink. Since we have been storing our cellulose acetate materials in our walk-in freezer, their deterioration has been stopped and we don’t need to worry about this problem. It’s still good to hear that the latest research confirms that our storage is the best option. Digital Cinema Packages (DCP) are the digital format commonly used today to disseminate digital feature films. The specifications for these files have changed over time, they are compressed and they are often encrypted, so they can be a problem for archives. Archives would prefer to receive the collection of master files from which the DCP is made, called the Digital Cinema Distribution Master (DCDM). Archives are already receiving these packages from donors and need to prepare to preserve them. The AMIA conference has a trade fair where vendors discuss and demonstrate their products. 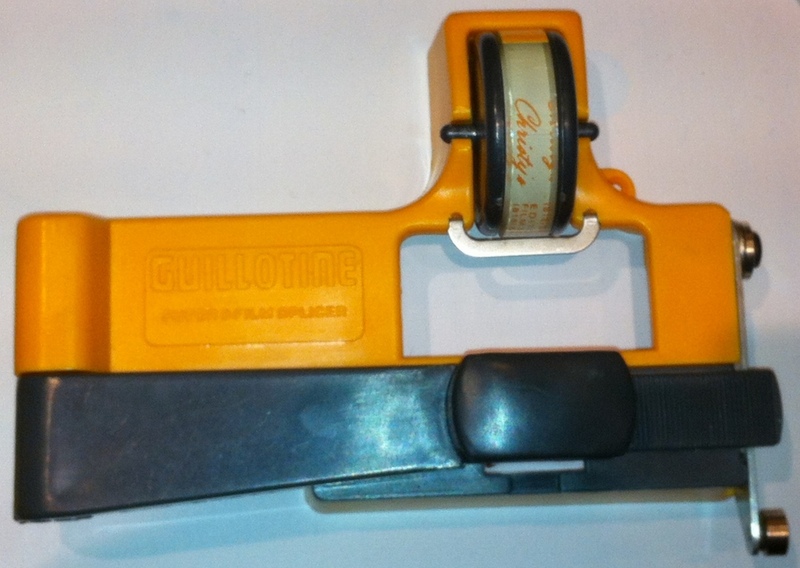 I spotted this splicer for 8mm film that could speed up the preservation work we do on home movies. AMIA conferences are always packed with useful sessions and I came home with 52 pages of notes to study and share with colleagues. This entry was posted in Digital Archives, General, Preservation and tagged AMIA, digitization. Bookmark the permalink.